The best dealership experience of your life! 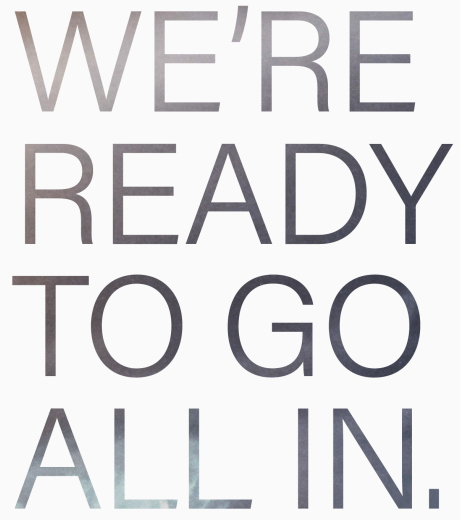 That’s the mission RiverTown Honda is committed to, and of course to sell more cars. But to accomplish these goals, we needed to help them stand out from the dealership stereotype and communicate that every single visitor is treated to a truly exceptional experience. As a result of our work and tight-knit partnership, RiverTown Honda has risen to become the #1 Honda dealership in Michigan in 2017! It’s no secret that the traditional car dealership stereotype is strong. It’s one that can be hard to overcome even as times change. But with RiverTown Honda, we knew from the moment we walked in the door that something was different. This organization was wholeheartedly committed to providing a truly exceptional experience to each and every guest, unlike what you’d expect from a traditional auto dealer. We were immediately attracted to the idea of bringing this message to consumers while ultimately helping the organization grow. But that didn’t mean immediately shouting their message from the rooftops. While RiverTown’s message is fantastic, we still believe it is incredibly important to ensure a solid business foundation first and foremost. Our approach started with POSITION: getting to know RiverTown Honda and their staff to understand their operations on a detailed level. This phase is critical if we want to be able to identify, organize, and implement a business development strategy, while also continuing to identify opportunities internally and externally. To this point, throughout our partnership, we have assisted RiverTown Honda in implementing a Business Development Center in an effort to scale growth, while maintaining a great focus on customer service training. The human experience must be in place if we expect our digital and marketing efforts to return notable results. It’s also worth mentioning that this phase isn’t a one-time thing – as our partnership continues to grow, we repeatedly return to this phase to ensure we are delivering on the #1 goal: providing the best dealership experience of your life both in-store and online. Then came MESSAGE. RiverTown Honda is genuinely dedicated to making their dealership environment fun, accessible, and unintimidating for both individuals and entire families. Every asset must communicate this message to excite the subconscious within the end user and entice them to take action. In building RiverTown Honda’s brand, through both words and graphics, we needed to ensure that it was the opposite of what dealership brands typically look like, while maintaining the Honda manufacturer compliance standards. The dealership’s culture made all the difference – allowing our team to incorporate bright, friendly, and energetic colors and graphics into the dealership’s core branding. Vehicle shoppers spend a majority of their decision-making process in what we call, the Hidden Buying Cycle. They’re spending countless hours researching online before they make their first contact with the dealership, and when they do, they have high expectations (our point on building the human experience). But in order for a user to feel inclined to make that contact, the business must deliver value. A strong digital brand and user-friendly experience were our #1 focus when it came to building RiverTownHonda.com. Located near Grand Rapids, MI, with large competitors nearby, it was imperative that the website deliver a top-notch experience, be highly informative, and utilize strong calls-to-action to retain visitors and produce leads. RiverTown Honda’s recently updated, fully responsive website integrates seamlessly with our custom-built vehicle inventory system and the dealership’s CRM system, out-performs competitors in desktop and mobile search rankings, and allows consumers to easily search inventory and research extensive vehicle information. Since the website originally launched in March of 2015, web traffic has continued to grow each and every month. Current Google Analytics indicate 43% total growth in Users since March 2015 (as of 2/16/18)! As the #1 volume Honda dealer in the State of Michigan, we choose our partners based on their knowledge of our industry and their ability to proactively react to our needs. Further, these same partners must mirror our core values including hard work, honesty and competitive pricing. Since 2015, Ignite XDS continues to exceed all of these requirements and therefore, would be highly recommended by RiverTown Honda, Grandville, MI. Building RiverTown Honda’s brand goes far beyond the logo, graphics, and website. Content and messaging are a critical aspect in communicating and upholding the brand that distinguishes RiverTown Honda from the unappealing dealership stereotype. Whether it be written words on the website, marketing collateral, or social media; or spoken words in videos or 1-on-1 interactions, every message must uphold the friendly, welcoming, and positive voice and tone of the brand. It’s the difference between blending in with competitors and standing out. By working with dealership team members to understand their goals, our content is designed to provide all the information a consumer could want or need while supporting the business needs. Additionally, by prioritizing and organizing the content in a way that is valuable to Google and other search engines, we can be sure that the user can find it when and where they need it. In a highly competitive industry, such as the auto industry, an effective marketing strategy must incorporate both digital and traditional media, the mix of which depends on the specific market demographics. While our world is becoming more digital every day, there is still an argument for select traditional media and the audience it appeals to, particularly for brand exposure in a local space. With RiverTown Honda, we’ve partnered with numerous 3rd party service providers to maximize their message reach. However, the message isn’t just the latest Honda offer. Again, it’s upholding the RiverTown brand message that gives consumers a valuable reason to choose RiverTown Honda. From billboards, digital banner ads, in-store merchandising, display signage, vehicle wraps, and more, they each serve a purpose to communicate a specific message to the end user. Plus, playing in a local space provides RiverTown Honda the unique opportunity to partner with like-minded organizations around the Grand Rapids area for charitable campaigns, contests, and other community events. Promoting these partnerships through marketing collateral and digital campaigns have proved to be a successful method for growing a community of advocates around the RiverTown Honda brand. 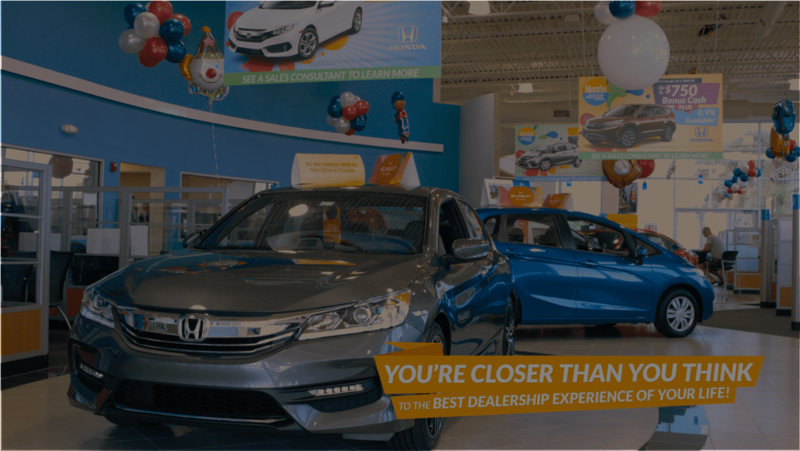 As one of the most engaging mediums, video provides the perfect platform for RiverTown Honda to stand out from the competition and showcase how they truly are different. Highlighting the friendly environment within the sales and service departments helps familiarize viewers with the RiverTown Honda experience, ultimately allowing them to feel more comfortable making that first contact with the dealership. Through video we can emotionally connect with the viewers senses and communicate subconsciously why they can be confident choosing RiverTown Honda. Our Video Production team has created a variety of video content for RiverTown Honda including successful traditional commercial spots for cable TV, brand awareness videos, and interview-style department highlights. Each of these videos is also cohesively branded with high-quality animated logos and custom graphics that support the RiverTown Honda brand and experience.